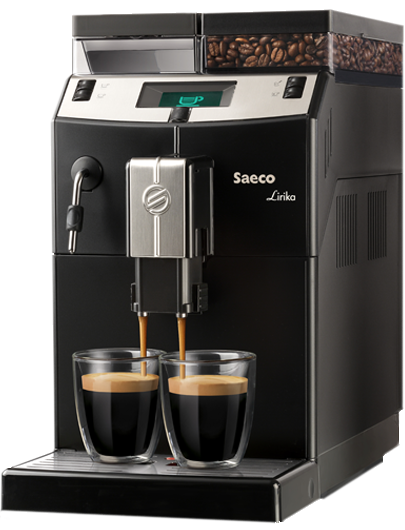 Saeco Phedra EvO 120V Twin-Taste-Technology vending machine that uses Saeco patented brew group to serve fresh Bean to cup espresso, small or large Long American coffee. Phedra also has three additional containers for dry mixes. These containers can be filled with dry milk powder, Chocolate powder and preground coffee powder. A combination of dry mix will dispense8 different beverages at the touch of beverage selection. The product can be pre-programmed to dispense coffee beverages at the push of a button. This small vending machine is good for self service impulse buying in convenience stores, waiting rooms in Hospitals & more. This model is foor commercial use and if locations can be found for placing, it can be highly profitable. Phedra TTT is a completely automatic table-top vending machine of the last generation with design and technical performance at the top of the range. 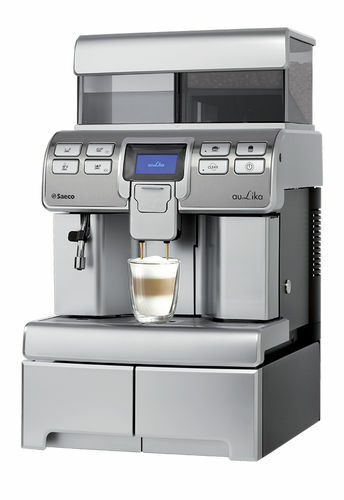 It is equipped with the new Saeco TTT TwinTasteTech brewing unit that allows the dispensing of both paperless fresh brew coffee and espresso coffee without any software or mechanical presetting. The product can be selected by simply pressing a button on the direct access keypad. Designed for small and medium locations, it is available with cabinet in two versions, standard and for payment system, and dispenses up to 8 different beverages. 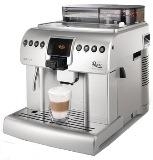 Ideal for use in Offices, Select the machine with choice to dispense small or large espresso, Cappuccino & Latte with powdered milk, choice of American coffee or preground coffee. More information is available for use of Phedra in offices or car dealerships, Car Wash, Banks, Super markets, Convenience stores, Rental places, Large businesses with over 50 staff, Theaters, for use in booths at trade shows to engage conversation with visitors.